Adam Simmonds' cooking style focuses on producing modern cuisine that is refined without being over complicated. While some of his dishes - such as the visually spectacular Confited foie gras with bramley apple compote and walnut crunch recipe - are somewhat tricky, there are simple recipes in this collection. 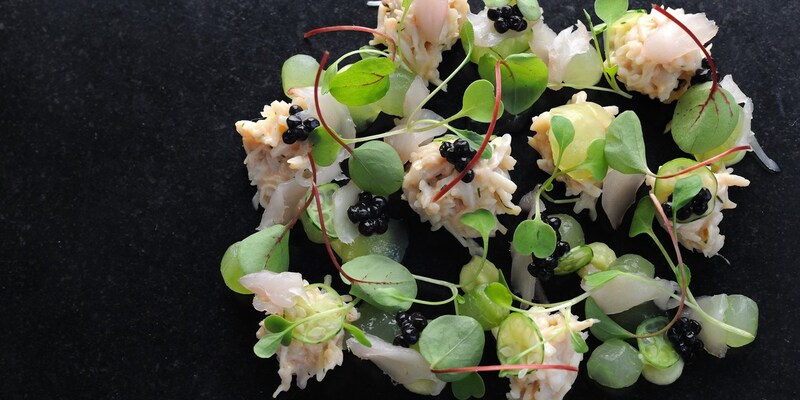 His easy Crab salad with mackarel tartare recipe or the Goat's curd mousse with Granny Smith apple dessert are excellent dinner party dishes as despite their simplicity they will appear staggeringly sophisticated through careful plating.